Before I visited Korea, I just finished the K-drama of The Girl Who Sees Smile. 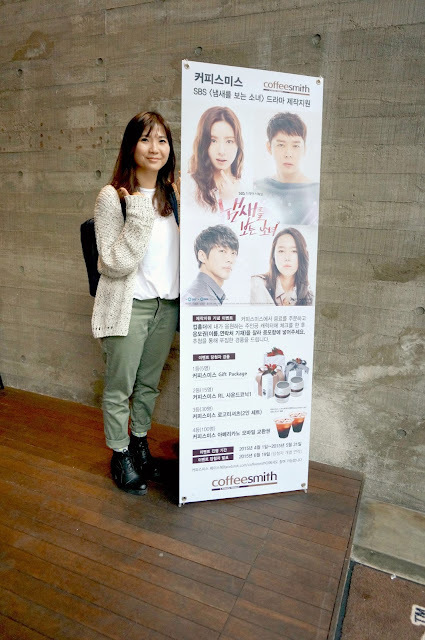 It's starring by Park Yoo Chun and Shin Se Kyung. I fall into Park Yoo Chun after this drama because his acting was so good and natural. I followed all his previous dramas continuously right after this one. Supposedly, during this trip, I wanted to visit few places that the dramas making films at. Since my girlfriends were all first time travelling to Korea, so I think it's unfair for them not to visit the main attractions first. 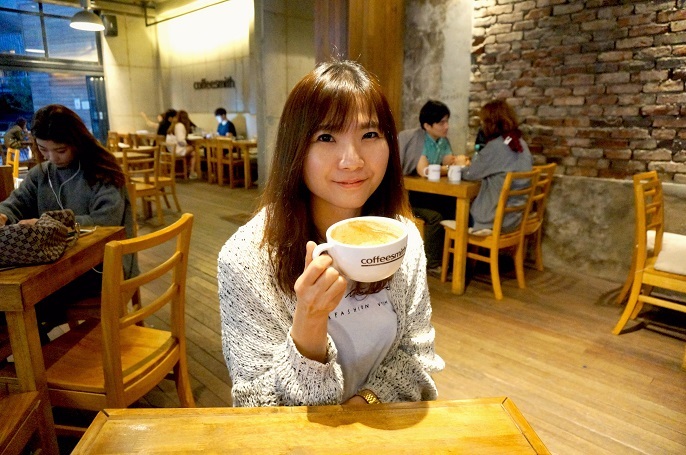 Luckily enough that I got to have a private coffee date with Gail, my Korean girlfriend while the 3 ladies went to visit the 3D Museum. 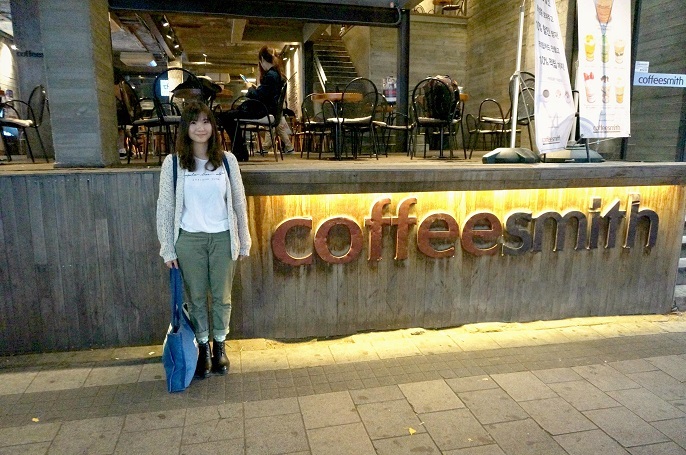 We both decided to meet at the Coffeesmith, located at Hongdae area. 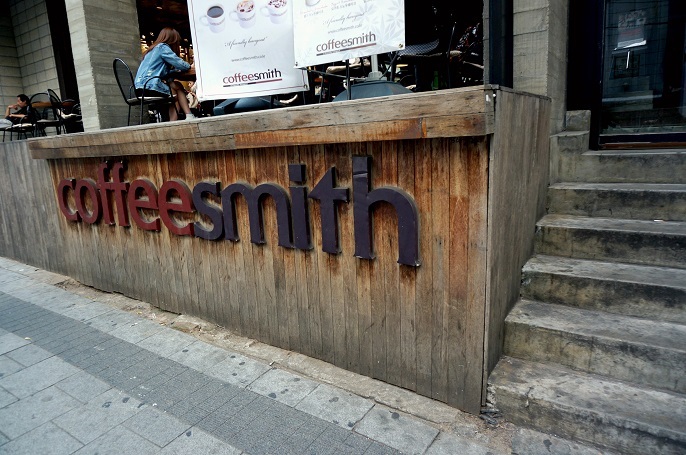 Coffeesmith, is a franchise cafe in Korea. 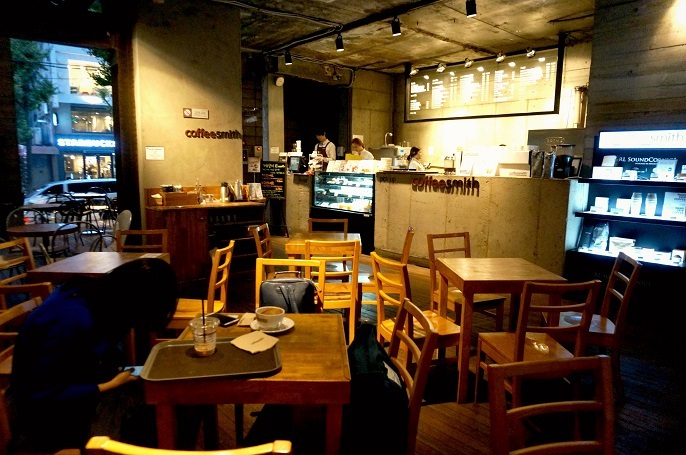 It is similar like the Starbucks, Coffee Bean and San Francisco that we have in Malaysia. But, I think their coffee tastes are much much more better! 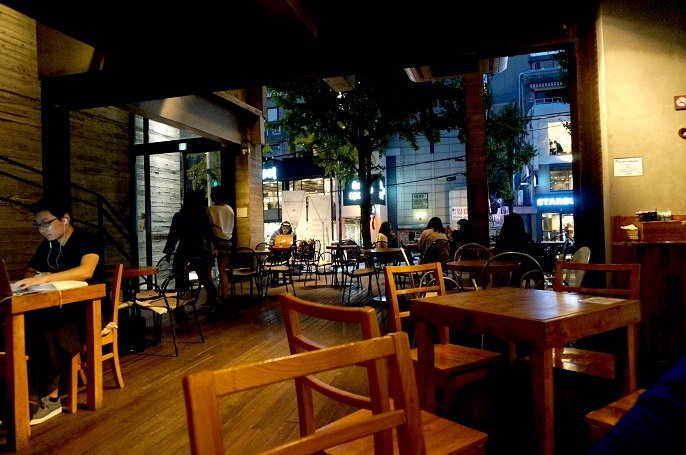 I came here by walking through the main district of Hongdae with a local friend with me, so it was pretty easy to get up there. I am not very sure about the exact location, but according to the info I have, it is about 5 minutes walk from the main entrance of the Honggik University. 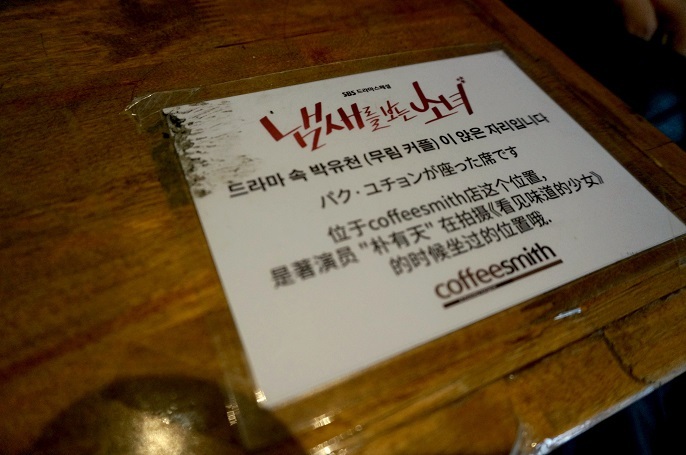 There is poster for the drama, The Girl Who Sees Smile, at the entrance of the cafe. I almost wanted to scream out loud when I saw this poster! 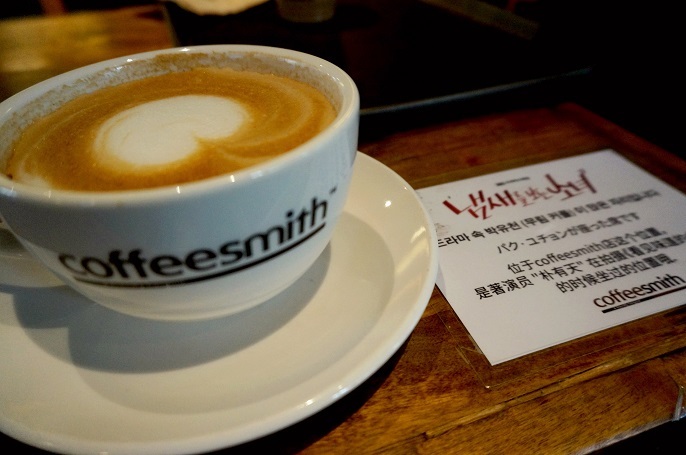 It's a self-service cafe so you need to place your order in the main cafe area. When we ordered our drinks at the cashier. 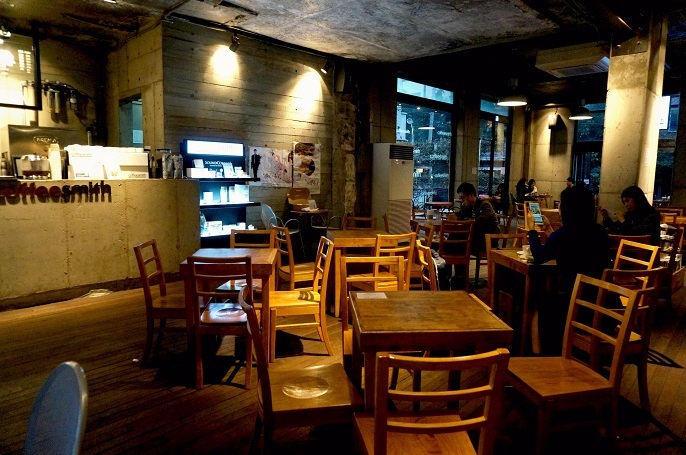 I asked my friend to check with the staff where Park Yoo Chun sat while he was filming. My friend looked so shock as well as the staff too! The staff pointed the seat right opposite the cashier. Lucky! No one was sitting on that table, or else I will feel super duper disappointed! 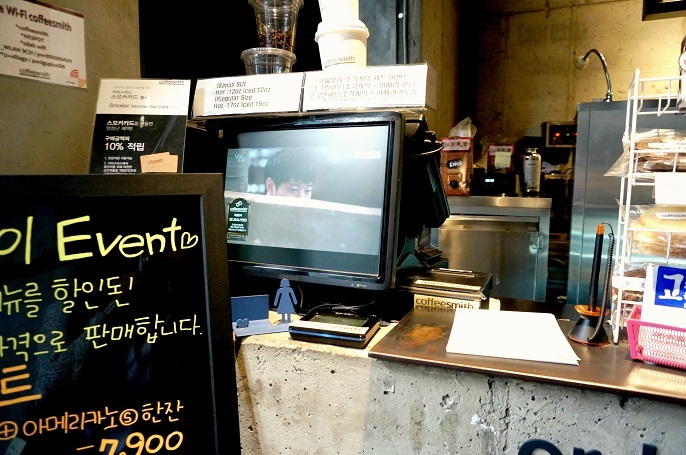 I ordered Cappuccino as usual which costs 5,600 won which is about RM20. It's not cheap at all although there are so many competitors out there! I love this place sooooo much! 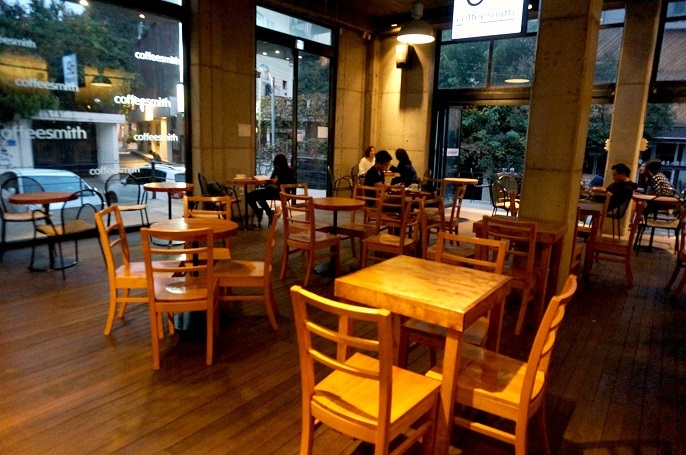 The cafe provides spacious area and plenty of seats. It's so cozy that you can spend you whole day sitting here! Poster of The Girl Who Sees Smiles are everywhere. 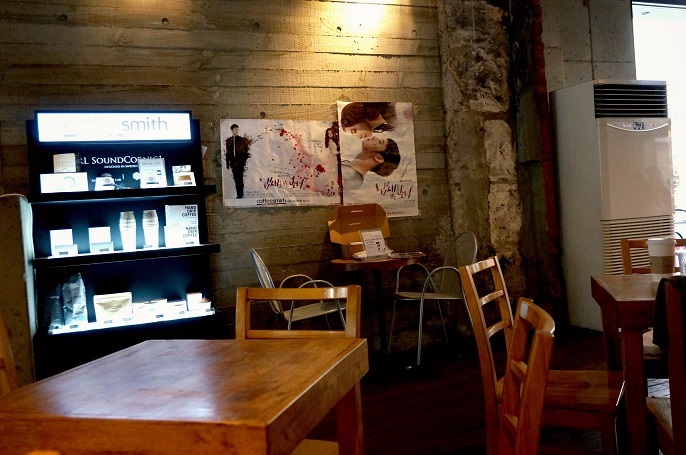 You can also find some merchandises of this drama inside the cafe too! She was actually my personal Korean teacher in Malaysia. 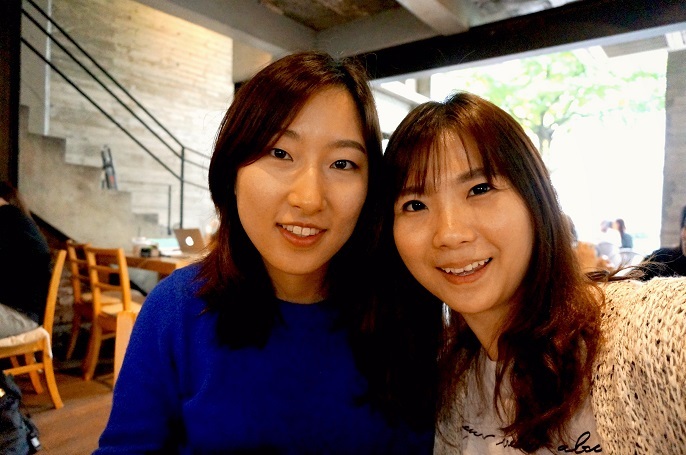 We became close friends together after spending long time together at the classes and also coffee talks. I really like her because she is a very down-to-earth person, and also a very easy-going girl to be with. 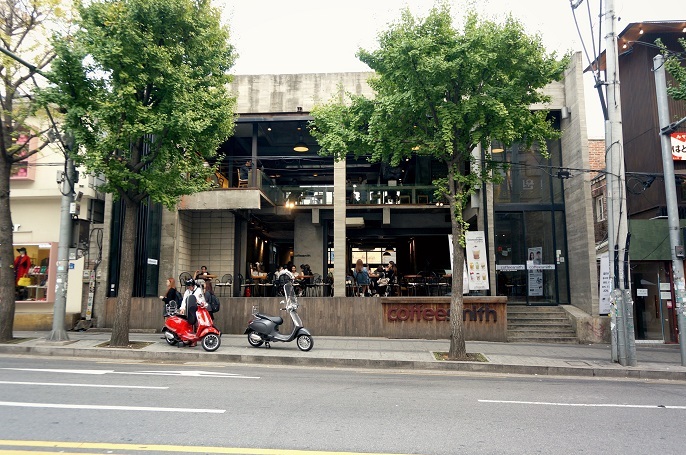 Coffeesmith has a few branches in Korea include Jeju Island. If you have a chance to drop by this place, please do so. 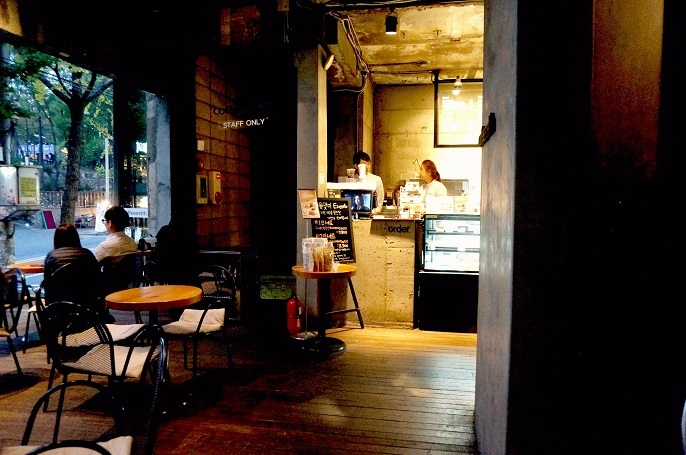 I am sure you will not only enjoy their coffee, but also the lovely atmosphere inside the cafe. 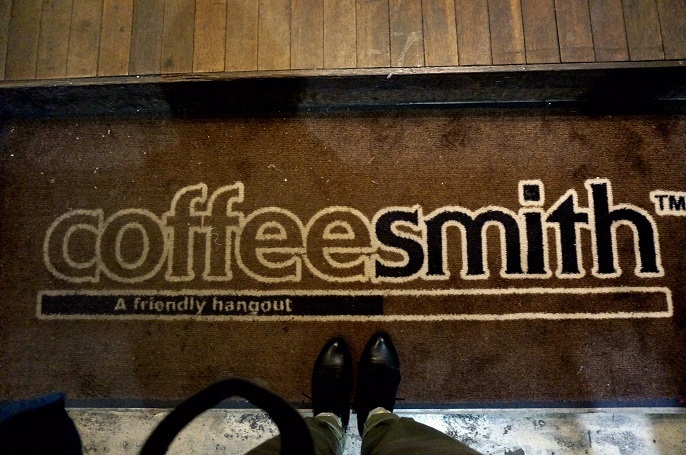 Thank you for the great time, Coffeesmith! Oh, btw, if you want to know what is the drama that I were talking about. You can check out this trailer from The Girl Who Sees Smile.